When you finance at Beach Mazda, our specialists can help tailor a loan or lease package to fit your unique needs, no matter what your credit situation is. Our experience with a wide variety of financial institutions helps up provide financing for all credit levels. Find out more reasons why you should finance at Beach Mazda! How you decide to finance at Beach Mazda is entirely up to you. Our finance specialists can set you up with a loan, which covers the cost of the vehicle and requires that you pay monthly installments until the loan is paid off. Once it is, you own the vehicle. On the other hand, we can set you up with a lease, which allows you to drive a brand-new Mazda vehicle over the course of a lease term – typically two or three years – while paying lower monthly payments. When your lease is up, you return the car to the dealership, opening you up to lease the latest models available once again. Either way, you can rest assured that Beach Mazda will get you the best rates possible! When you decide to finance at Beach Mazda, you’ll quickly understand how easy financing can be – and that it doesn’t have to be as complicated as some dealerships make it out to be. We have a handy payment calculator on our website that you can use to determine how much you can afford to pay each month, and what that means for the type of Mazda vehicle you’re able to get. 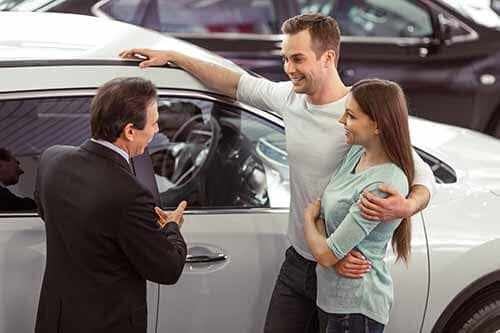 You can even apply for financing from the comfort of your own home, so that when you come to the dealership, we can expedite the process of securing a loan or lease. Take a step back and enjoy buying a car – we’ll take care of the tough parts for you. Get in touch with Beach Mazda to learn more about your financing options or to get started with the financing process, or browse our wide selection of pre-owned models to get great savings–we even offer vehicles priced under $15K! When you finance at Beach Mazda, we’ll get you the financing you need and deserve.